On May 8th, @Bonnycastle took the reins and moderated the hcsmca chat. Together we discussed the relationship between physicians and patients support groups. On May 8th, @Bonnycastle took the reins and moderated the hcsmca chat. Together we discussed the relationship between physicians and patients support groups. As an introduction, she wrote the blog post Should medical doctors advocate for patient support groups? T1: Why is it important for physicians to advocate for patient support groups? First, let’s see what hcsmca-ers think about patient support groups. Most view the support that patients gain from their peers as positively complementary to the relationships they have with their doctors and other healthcare providers. Patient support groups help patients to empower themselves and to guide their self care. What does it change if health providers advocate for patient support groups? Physicians advocating for patient support groups increase their legitimacy and reputation. It can help them be seen as a benefit to patients outcomes. It is also a way for patients and providers to work together and to improve their relationship. However, before advocating, the provider has to know if the community is relevant or not. Additionally, they are more apt to advocate for patient support groups that demonstrate benefit to patients outcomes. To the question, “Do you think patients should tell their doctors about belonging to support groups?” hcsmca-ers think that it depends on the doctor. If he or she is open-minded about social media and Internet searches in general and support groups more specifically, then patients are more willing to share. Chat members also discussed whether for-profit groups can be considered reputable and valuable support communities. PatientsLikeMe was cited as a for-profit online community that is well respected because it is transparent and has clear guidelines. T2: How can organizations and patients help physicians advocate for patient support groups? Patients and organizations can both show healthcare professionals the positive impacts of support groups on patients outcomes by showing proofs and measures of their benefits. By discussing with their doctors, patients can assure that these groups help them manage their health. Chat members also added that patients recognize what groups benefit them. Doctors can learn and curate a list of patient-vetted support groups by asking and listening to their patients. As for patient organizations, they can make doctors aware of what they do, give them resources of their patient support groups, distribute flyers in waiting rooms or ask to be included on hospital and doctor’s websites. However, some chat members underlined that the communications tools to reach doctors are very expensive and take time. Marie Ennis O’Connor (@JBBC) shared a list of patient support communities on Twitter that she is building. Feel free to add yours. 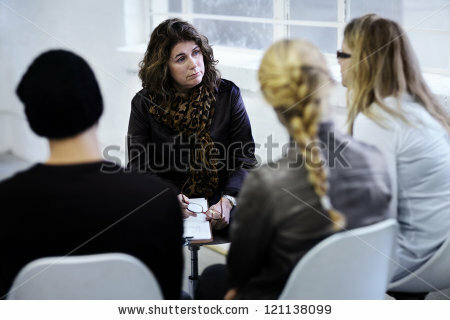 Have you ever joined a patient support group? How did you find it and do you talk about it with your doctor?